My favorite part of downtown St. Louis is the very short space between Park Avenue Coffee and Left Bank Books. Two of my favorite things: good coffee and good books – both from local businesses. Now that corner is going to be a little sadder. 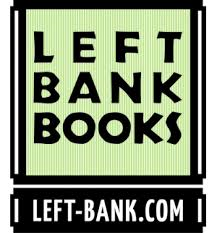 Left Bank Books announced a few hours ago that they will be closing their downtown location stating that they could not come to an agreement with their landlord. While I admit I don’t know the full story and Left Bank is very respectful in saying they understand the vision of their landlord, I blame the landlord. Left Bank is an institution of St. Louis to readers and locavores. They should have fought to keep them downtown. They hosted amazing author events and were just a fantastic store; a gem of the revitalization of downtown. They were a reason to go downtown. Come on St. Louis, you can’t revitalize a city by letting all the cool events move to Chesterfield and all the cool stores pull out. Today is a sad day.